Harry Kane says he feels an extra sense of pride after winning what appeared to be the most unlikely of Golden Boots. Kane was two goals behind leading scorer Romelu Lukaku, of Everton, with only four days of 2016/17 left to play. But he fired four at Leicester City on Thursday night and ended the season in style with a hat-trick at Hull City, taking his tally to 29 and making him only the fifth player in Premier League history to finish as top scorer in successive campaigns. 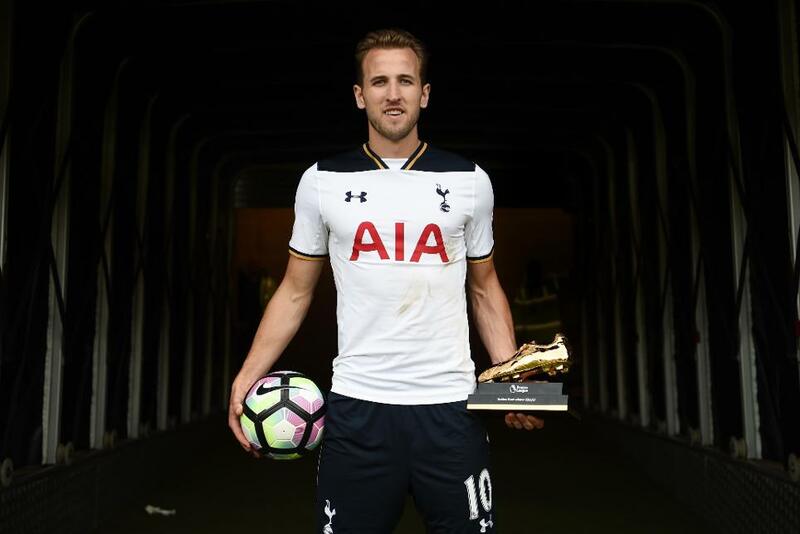 "It's a great feeling," said Kane, who was handed the award by Tottenham Hotspur manager Mauricio Pochettino﻿ in the video above. "It looked unlikely over the last few weeks - I was just nipping away at Lukaku - but to finish in the way I did is a very proud moment for me."